The hummingbirds are starting to return for the summer. I’ve had one at my feeder at home but haven’t had an opportunity to photograph it. 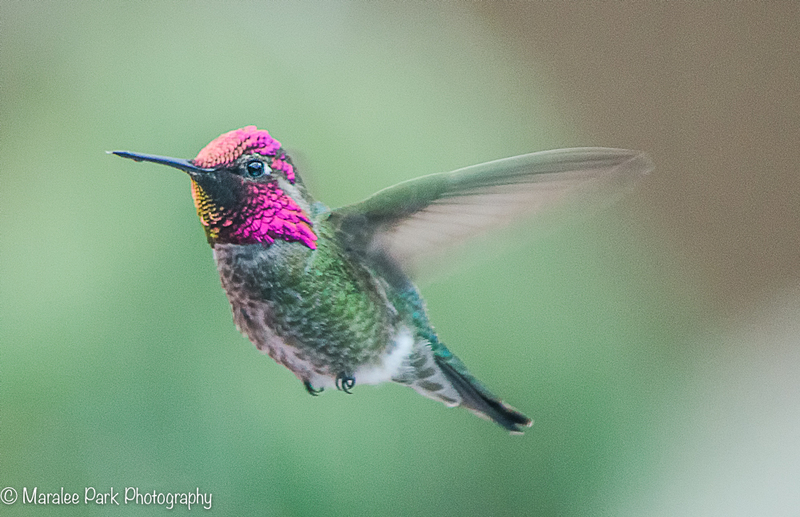 This is the first hummingbird from last year. What a great shot introducing me to new hummingbird coloration. Their coloration changes as the light from the sun changes. It goes from green to magenta. They’re amazing little birds. I look forward to seeing them every summer. Maralee this is stunning! Wonderful in flight shot and beautiful colors! It almost feels 3D with him flying out of the frame!